My darling water horse. 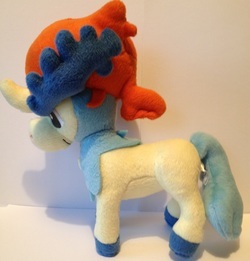 I absolutely fell in love with Keldeo, and knew I had to get everything of his. 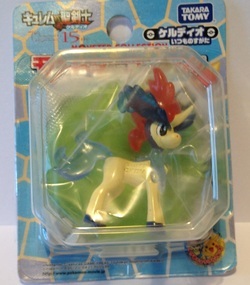 I got very lucky with some items, particularly when a very good friend went to Japan and sent me a box full of beautiful water horses, instantly doubling my collection in one go. Amazing. I just love this little guy. 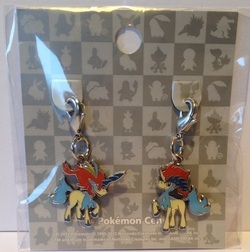 These were a part of the 2012 promotion, locally known as Charmageddon, wherein every single pokémon got made into a set of charms. 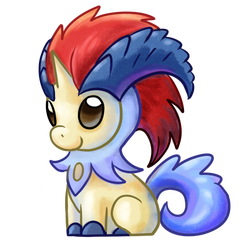 Cutest Keldeo. Everyone go home. This little guy is the very model of perfection. Made of minky fabric, about 9 inches tall, and thoroughly perfect. 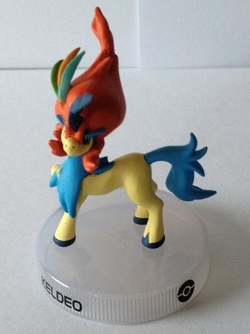 The best Keldeo ever. This guy is super huge, and made of soft minky. 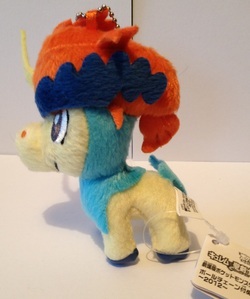 He's the greatest representation of Keldeo ever, and I love him. He is about 18 inches tall, and in perfect proportion. 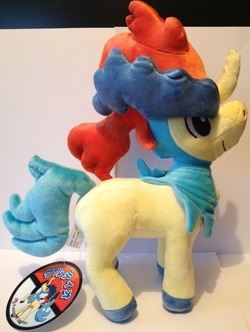 If you're considering buying one Keldeo plush, make it this one - you won't regret it! 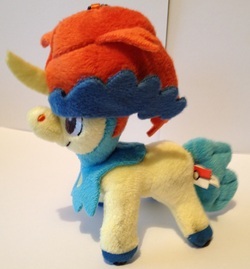 This is my travelling Keldeo! He went to London MCM Expo last October, and had a fantastic time. 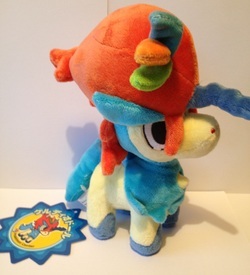 He's a great proportional plush, but doesn't have the soft feeling like the PokeCen plush. Still gorgeous nonetheless! 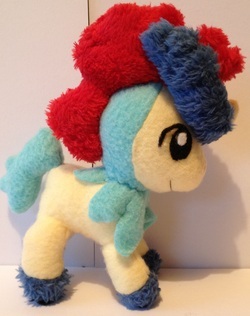 The cutest Keldeo custom in the history of sewing! 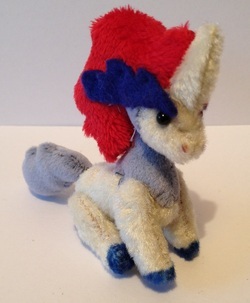 He's around 5 inches tall, and made of a mixture of minky and fleece fabric. 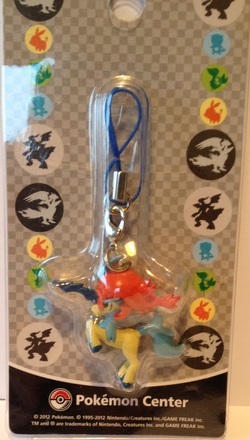 In 2011-2013, The Pokémon Company made keychain plush of all the Generation 5 pokémon, calling it their "My Pokémon Collection" line. 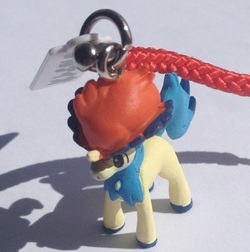 This is Keldeo, he's roughly 4 inches tall, and has a ball chain to attach him to your bag or keys. This is the greatest little thing! 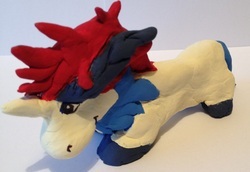 He's a fully jointed plushie, made of some form of soft material. You remember old-fashioned teddy bears, and how their limbs move? He's just like that, just tiny - just 2 inches tall standing. Kids are 2 inch tall hollow figures, super detailed, which come with a candy and a sticker in a small box. Super sweet! Kids are 2 inch tall hollow figures, super detailed, which come with a candy and a sticker in a small box. 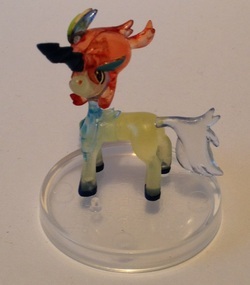 This is the rare clear variant, which was only available through a magazine. I'm so lucky to have him! 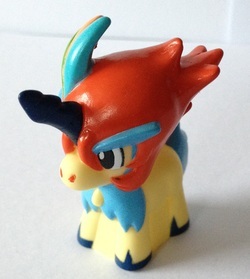 Collecting Keldeo has afforded me the luxury of being able to have lots of diorama zukan. 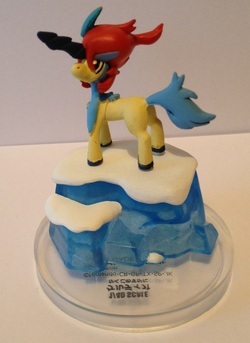 This is a 1/40 scale model of a leaping Keldeo over a snow drift. Look at how tiny Pikachu is! This is such a pretty zukan - a 1/40 scale figure - which is superbly detailed. This picture doesn't do it justice! 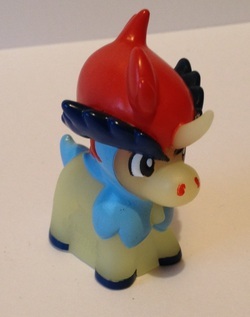 This little guy is still 1/40, but was given away with a Japanese pokémon magazine when Keldeo starred in a movie. He's completely clear all over, and I think he's awesome! This is one very big figure! 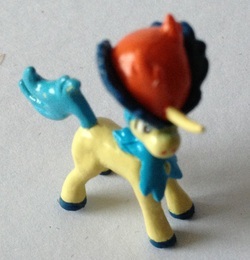 This is a 5 inch tall soft plastic figure, who has a poseable head and tail. 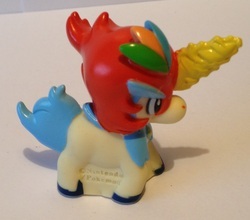 TOMY figures are one of the most classic items of merchandise. 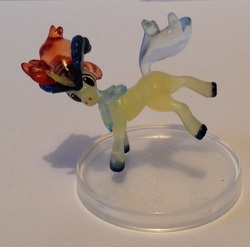 They are around 1.5 inches tall, made of solid plastic, and the newest wave of them have interlocking bases, as seen in the photograph. 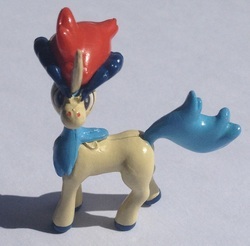 TOMY figures are one of the most classic items of merchandise. They are around 1.5 inches tall, made of solid plastic, and the newest wave of them have interlocking bases, as seen in the photograph. 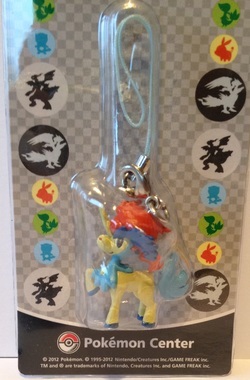 This is the clear variant, available through the PokeCentre in 2012. 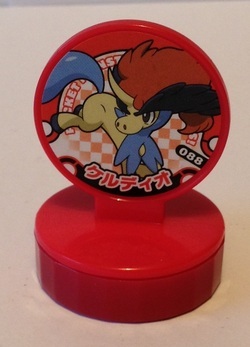 This is the tiniest Keldeo in my collection - even smaller than the Zukan! He's around 1cm tall (I had to switch to metric to measure him), and came in a rubber pokéball. 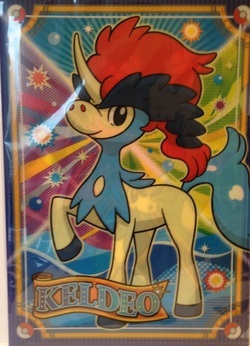 This Keldeo came with some candy in Japan, though I'm not sure of the brand. He's only a little bit larger than the keshipoke. 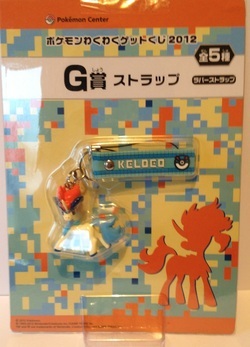 This phone strap came from a Gacha vending machine in Japan, with a red strap and Keldeo's name in Japanese on his tag. 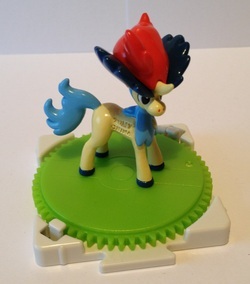 My first ever Keldeo item, made as a gift by my friend KillerJaw01. He's gorgeous, I love him so much! A gorgeous raspberry red stamp, which is frequently used to decorate my parcels I send off when I do sales. 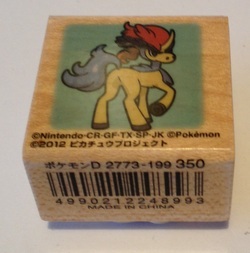 Standing about 1.5 inches tall, these are self-inking stamps, made since Pokémon was new. Ooooh this thing is beautiful! It is about an inch tall plus the length of the charm strap section, and really cute. 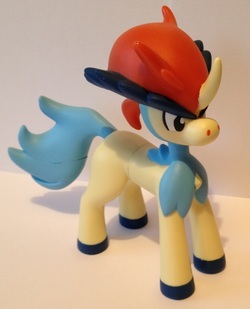 Keldeo does often suffer from same-pose syndrome, but this one is all new! 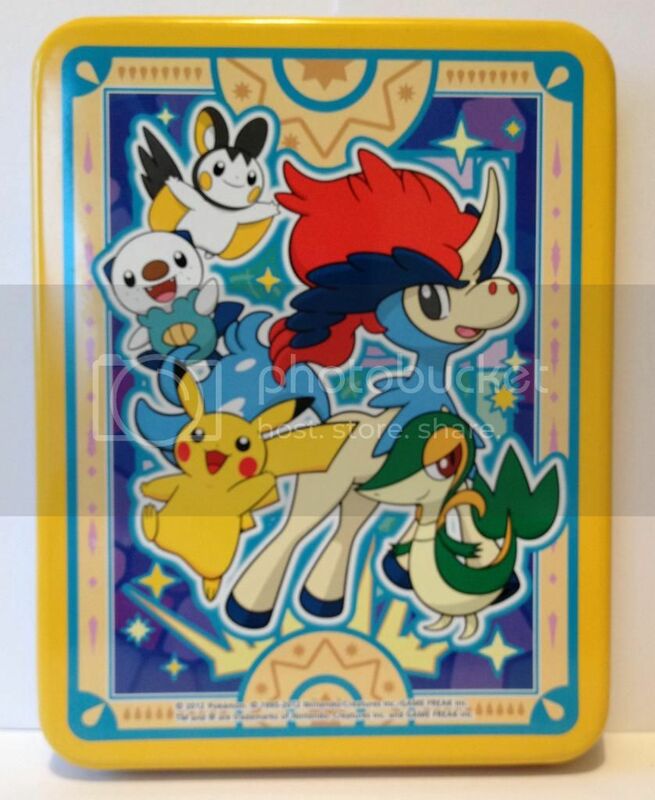 I actually am lucky enough to own two of these; the other one lives on my 3DS, and looks awesome on there. This strap was a lottery prize in 7/11 stores during the movie run in summer 2012. 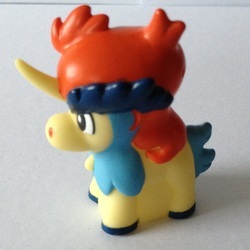 It has a large Keldeo figure attached, and the strap itself is made of a rubberised plastic. 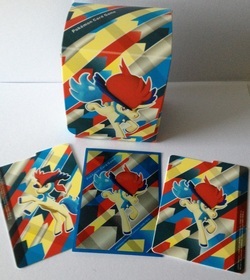 Look at the cute silhouette of Keldeo on the packaging! This strap was only available if you played the lotto in 7/11 stores in Japan during summer 2012. It's quite long, but has cute Keldeos all over it - what's not to love?! 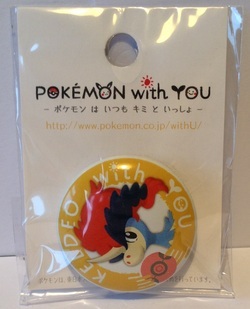 This pin badge is one of a series featuring many pokemon, and is created to raise money for Japanese charities. It's about an inch in diameter. This tin contained delicious, delicious cookies, and is roughly 9 inches tall and 5 across. See the reverse side of it here. 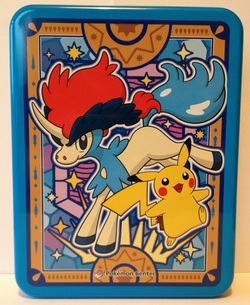 This is a box designed to carry I think 3 complete decks for the Pokémon TCG. There are 2 dividers (the items to either side) and a TGC sleeve (centre). 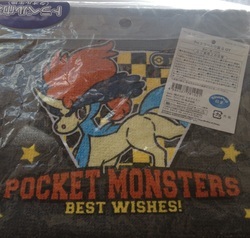 A little drawstring pouch, with Keldeo on this side. It's about 6 inches across by 4 high, and is made of a towelling material. On the reverse is an image of Black and White Kyurem. 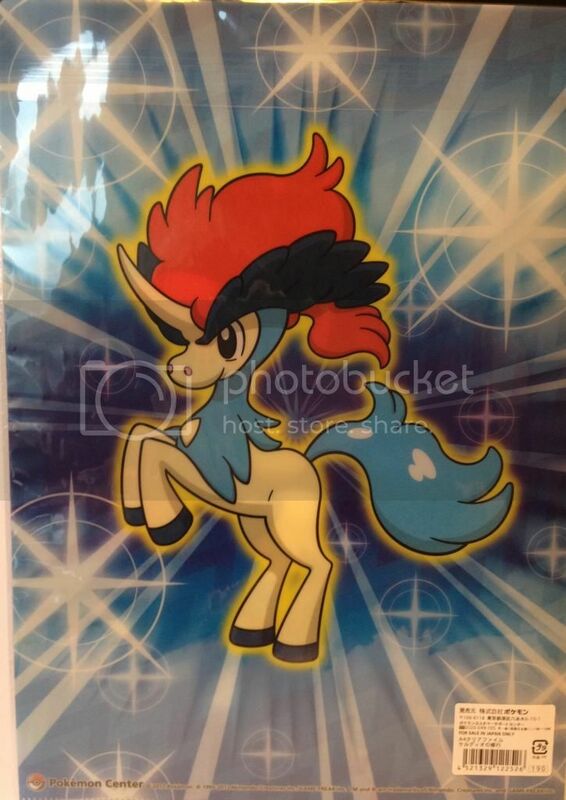 More glorious Keldeo alternate poses from Ensky! I love these; I wish I had metal shelves to display these up properly. 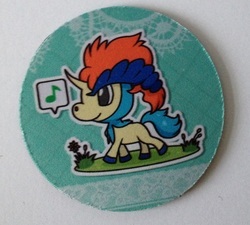 A gorgeous Walky Keldeo, based on the 2010 Walking promotion, created when HeartGold and SoulSilver were released. 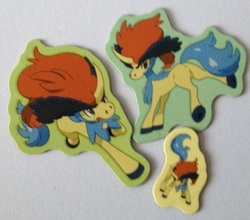 All four versions of these sweet treats have Keldeo on them, along with his Musketeer brethren. I haven't tried any, so I don't know what the sweets taste like! 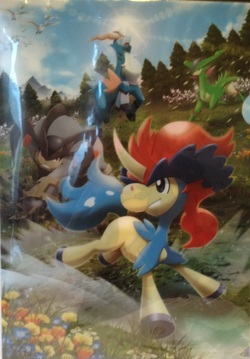 This is an A4 clearfile, which depicts Keldeo and all three Musketeers on a hillside. 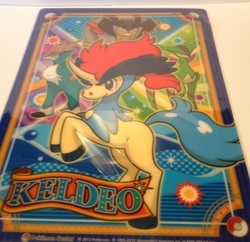 This A4 clearfile showcases Keldeo's cuteness perfectly! See the rear side here. 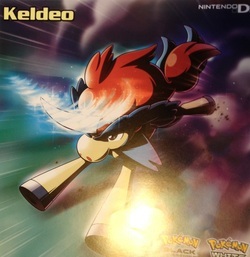 This is a gorgeous little square poster, given away in Gamestop stores in the USA when Keldeo was available for download out there. He's beautiful! 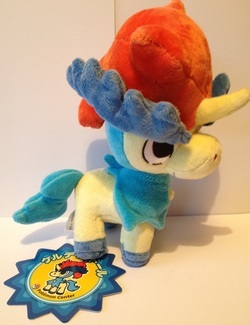 This is the cutest Keldeo Resolution Forme plush EVER. So soft and cute! He's made of minky, and is around 9 inches tall. Kids are 2 inch tall hollow figures, super detailed, which come with a candy and a sticker in a small box. 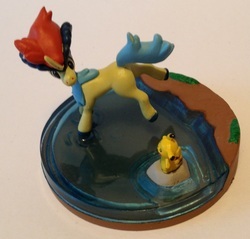 This one is an Attack figure, and shows Keldeo using Sacred Sword. I absolutely love zukan which have diorama bases, and this one is beautiful! 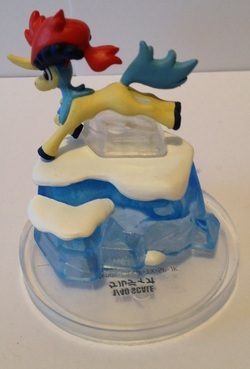 A 1/40 scale model of Keldeo stargazing. This super-detailed figure was included in a box with a super-sized trading card, a coin, and several booster packs for the trading card game. It's about 4 inches tall, and one of the most detailed figures I have ever owned.